The Lord Jesus desires to see every believer brought to a place of maturity and released to being a ''minister'' of God in their world the marketplace or whereever else. At APC, we believe that every believer is a minister and is authorized by God to work the works of God and truly represent Christ to the world. 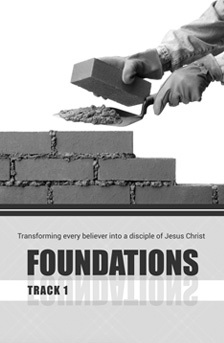 FOUNDATIONS is designed to strengthen you in God's Word and Spirit so that you can be fully equipped for every good work, as emphasized in 2 Timothy 3:16,17. Track 1, consists of a series of lessons that will help a new believer become a disciple of Jesus Christ.